Although, I do admit I am not as big of a football freak fanatic as some, but I do enjoy watching games (especially in person) and keeping up with some of my favorite teams (and not so favorite teams just to rub their losses in my friends’ faces, all in good fun of course. haha!). And while football is football for most, I love college football the most. There is just something about all that school spirit and sportsmanship. Watching, (most) of those college kids play just for the love of the game. We plan to go to a few college games this fall and I am totally looking forward to the atmosphere, that beloved college camaraderie, just as much as I am the game. Oh and of course, let’s not forget about the food. Hot dogs, nachos, soft pretzels, are all requirements when watching a football game. 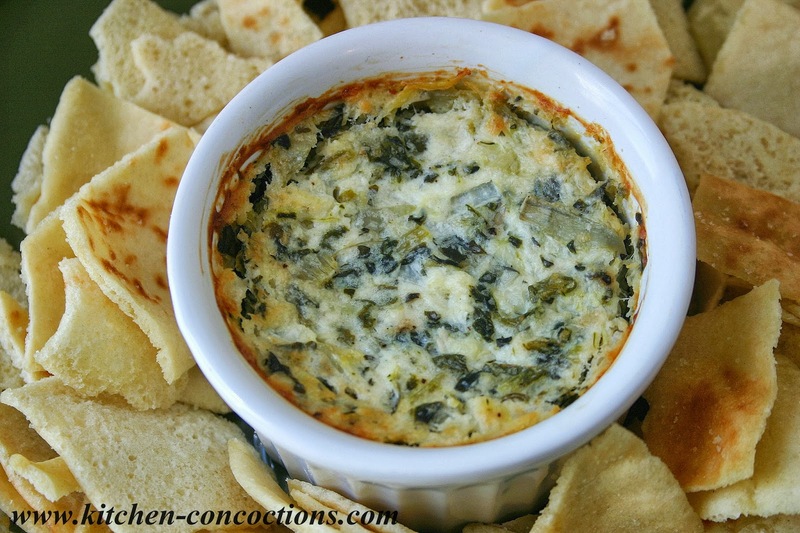 But this Spinach Artichoke Dip is one of my favorite game day snacks to munch on at a home football watching party. 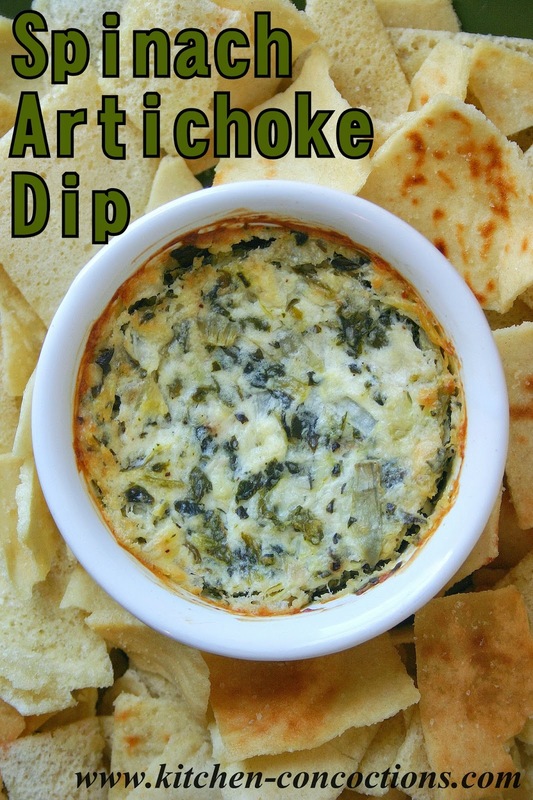 This is my go to classic recipe that is not only made, often by request, for football parties but will frequent holiday gatherings and family game nights year round. I’ll be cheering for the Texas A&M Aggies and Georgia Bulldogs this fall, but I am wondering, what is your favorite team? Are you a college or NFL type of person? Drain spinach and place on several heavy duty paper towels. Working over the sink, squeeze all the extra moisture out of the spinach. Set aside. In a large bowl, mix together mayonnaise, sour cream, cream cheese and Parmesan cheese until creamy. Stir in remaining ingredients. Spoon prepared dip mixture into a 9×9 inch pan. Bake in preheated 350 degree oven for 20-30 minutes, or until dip is hot, bubbly and slightly browned on top. 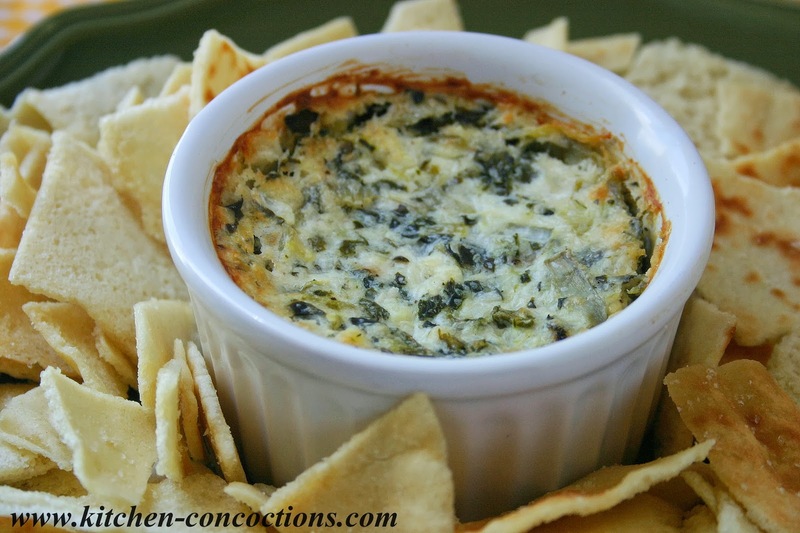 Serve hot with pita chips, crackers or toasted bread. NOTE: This recipe can easily be made with sauteed or steamed fresh spinach and boiled fresh artichokes.